When the temperatures soar in the summer, a tasty treat can be very refreshing. However, since the heat can be dangerous for seniors, it's important to keep them cool as part of elderly home care services. Cranberry slush: This is a great option on a hot day to help curb an ice cream craving. Instead of the higher calorie snack, try this slushy that can easily be made by blending 1/2 cup of cranberry juice with 1 teaspoon of lime juice and 1 cup of ice cubes. Fruity popsicles: Popsicles are a fun summer treat but they are often filled with sugar. Instead, opt for ones made from fruits and fruit juices like oranges, pomegranates or even coconut water. 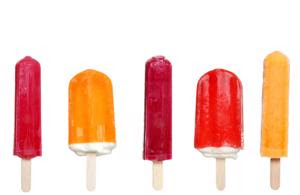 You can even make it a fun activity with your patient and make your own healthy popsicles. Frozen fruit: If seniors prefer the actual fruit itself, frozen grapes and bananas make delicious hot weather snacks. You can even dip them in dark chocolate or yogurt.